A maze secret garden, or better known as an outdoor hedge maze or a labyrinth, is the highest expression of the secret garden concept. Although the first wave of hedge mazes were constructed in continental Europe in the 15th century, the concept only really took off once it arrived in Britain during the reign of William of Orange (1650-1702) in the 16th century. Members of the royal family and wealthy nobles were literally in a race to construct the best hedge mazes. However, the appeal of maze hedges at the time lies neither with their mental stimulation or ability to protect delicate flowers and plants in the inner regions. Instead, they were used for political discussions, romantic pursuits and even clandestine sexual activities! Mazes are typically made using slow-growing shrubs such as yew, beech and hornbeam. This is primarily due lesser pruning frequency and longer shape retention. For maintenance reasons, plants that have a propensity to grow sideways are also preferred over those that grow upwards. At the height of the mania, there were over 200 secret garden mazes in the greater London area alone. However, the number began to dwindle in the following couple of centuries. 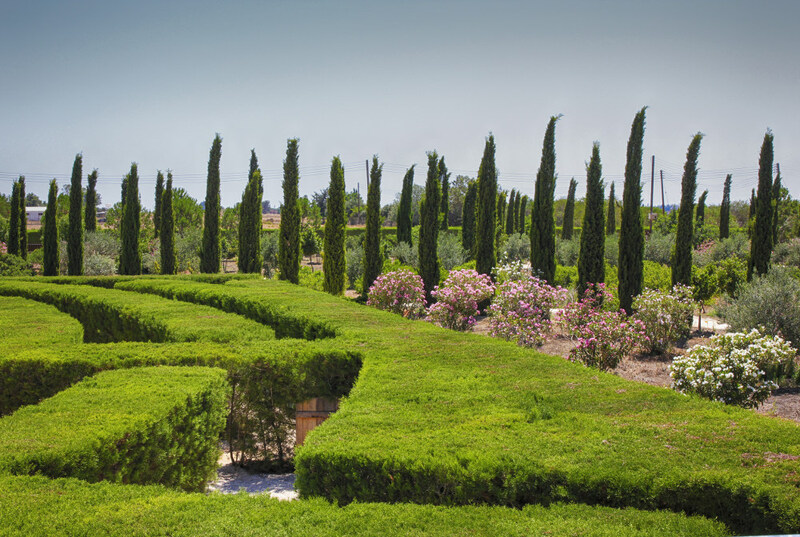 By the 1970s, hedge mazes were back in fashion and a couple of dozen modern ones were constructed over the next two decades. One notable change observed in modern maze designs is the introduction of symbolic imageries instead of the conventional geometric and abstract art of the preceding four centuries. Despite the proliferation of new hedge mazes, the most famous in the world, has remained the same for over three hundred years – the Hampton Court Maze. Commissioned by William of Orange, the Hampton Court Maze was designed by George London and Henry Wise. Developed primarily using hornbeam, the maze took approximately six years to be completed. In recent decades, entrepreneurs in the United States have developed a number of larger and more intricate mazes. However, since these are corn mazes, nobody really pays them any attention. It is worth noting though that the New York boasts of the Connie Gretz Secret Garden, which is inspired by none other than Frances Hodgson Burnett’s The Secret Garden.